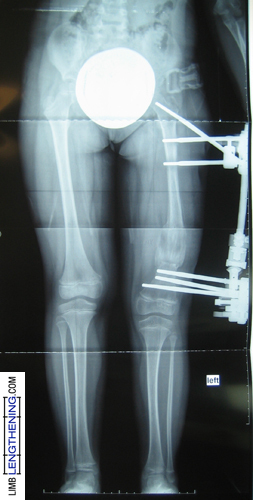 Gabriella had a congenital leg length discrepancy of 5 cm. This was expected to increase to 8 cm at maturity..
She had a femur osteotomy for lengthening of 5 cm to equalize her leg lengths. An EBI Biomet pediatric MAC frame was used.